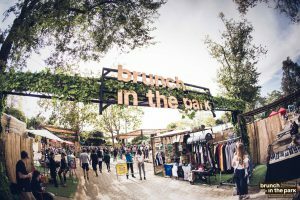 Continuing on from the same concept as the Brunch in the City series in Poble Espanyol, Brunch in the Park will instead be held in the Jardins de Joan Brossa of Montjuïc, and what a wonderful location it is! Taking place every Sunday this summer and with the biggest names in electronic music to take the stage, this is a massive summer event in Barcelona, and is certainly not to be missed. Last year brought plenty of top DJ’s to Barcelona such as Marco Carola and Hot Since 82, and this year will be no different! The organisers of this summer’s Brunch in the Park series in Barcelona have curated fantastic line ups (so far) featuring some of the biggest and best names in electronic music. 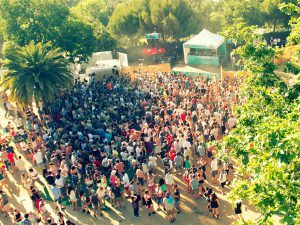 Located up Montjuïc, in the area between the Montjuïc funicular and the Montjuïc castle, the Jardines de Joan Brossa make the perfect open-air space for a summers day party. Once an amusement park, this Mediterranean green spot offers plenty of space to enjoy the summer sunshine while dancing to your favourite music! To get there, take the metro to Paral·lel (L2 & L3) and the Jardins are a short walk away, or alternatively you can take the bus (lines 55 & 150) which takes you closer to the venue. Brunch in the City is not only an event for young twenty-somethings looking to party, it’s also a great family friendly event, especially during the early afternoon hours. Brunch in Barcelona puts in a lot of effort into ensuring families with children have a great time at their events! For example, Petit Brunch is an area of the festival designed specifically for the little ones, where they can enjoy plenty of fun activities, games and workshops… a fun weekend outing for the whole family! Another great thing to note about Brunch In Barcelona’s events is that they most definitely do their bit for the environment! They have an initiative where you purchase a plastic cup for €1 at the start of the day and then use this for your drinks throughout the event. Once the cup is returned at the end, you are refunded your money and the cup can be used for future events. Or, if you prefer, you can keep the cup as a memento of the party – just don’t chuck it away! Additionally, straws are not given out at the event for environmental purposes. It’s nice to see that Brunch In Barcelona are doing their bit to help look after the planet! If you’re heading to Barcelona during spring or summer, be sure to check out the upcoming Brunch events on Resident Advisor, where you can also purchase tickets – don’t miss out on all the Sunday fun!